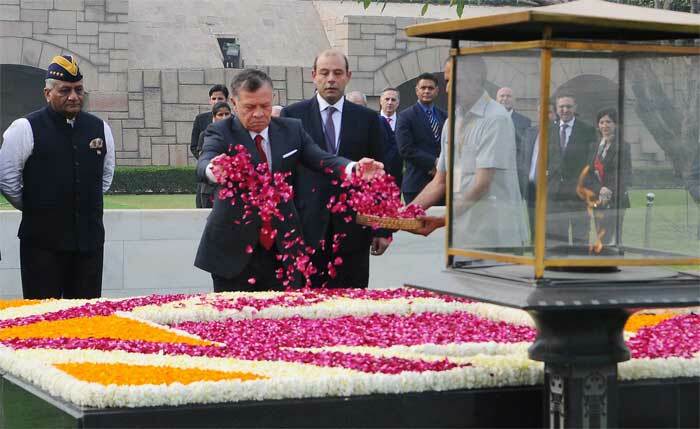 The King of Jordan His Majesty Abdullah II Bin Al-Hussein paying floral tributes at the Samadhi of Mahatma Gandhi, at Rajghat, in Delhi on March 01, 2018. 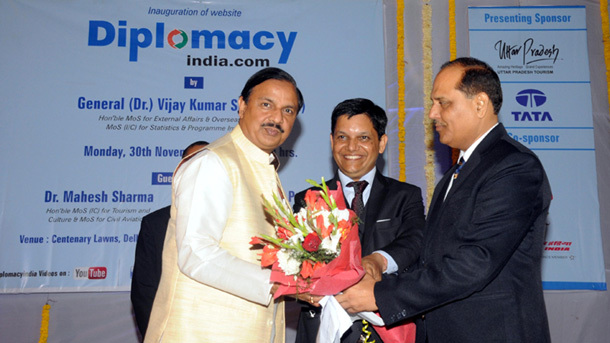 The Minister of State for External Affairs, General (Retd.) V.K. Singh is also seen.